If this is your first time streaming with Twitch, please refer to Twitch's Getting Started and Beginner Broadcasting articles. Also check out these two very comprehensive getting started guides: How to Stream on Twitch (Tom's Guide) and Beginner's Guide to Streaming on Twitch (Medium). 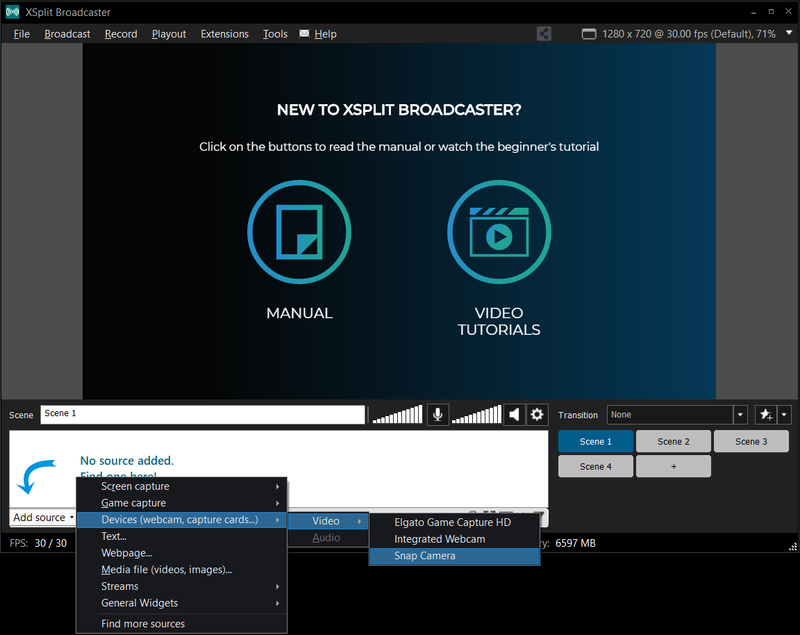 Streaming to Twitch or other live stream platforms requires a broadcast software as detailed in the above getting started guides. 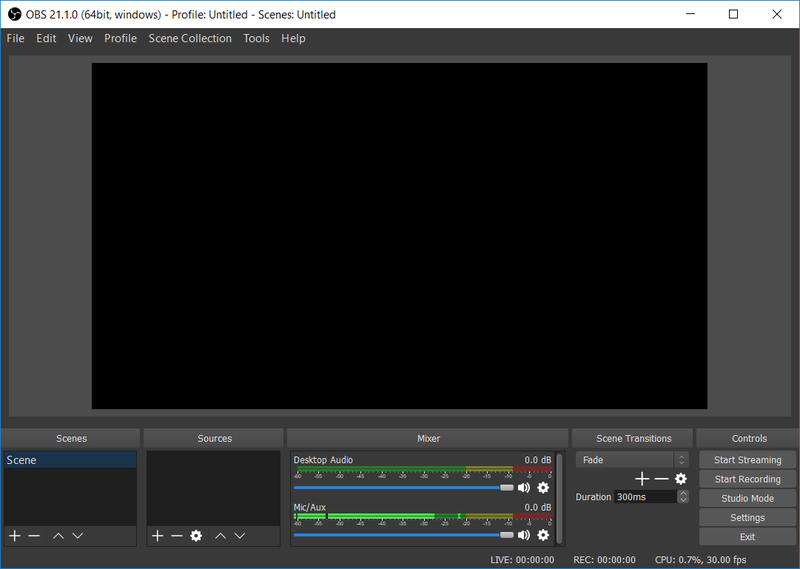 The three most popular broadcast softwares are OBS Studio, Streamlabs OBS and XSplit Broadcaster. The sections below detail how to select Snap Camera as your webcam in each. Once selected, you will be able to stream with a Lens using Snap Camera! If you're streaming with Twitch, make sure to also check out the Twitch Extension guide for information on how to use the Snap Camera Twitch Extension. The extension gives your viewers the ability to unlock the Lenses you use and even change your Lens when they subscribe to your channel. 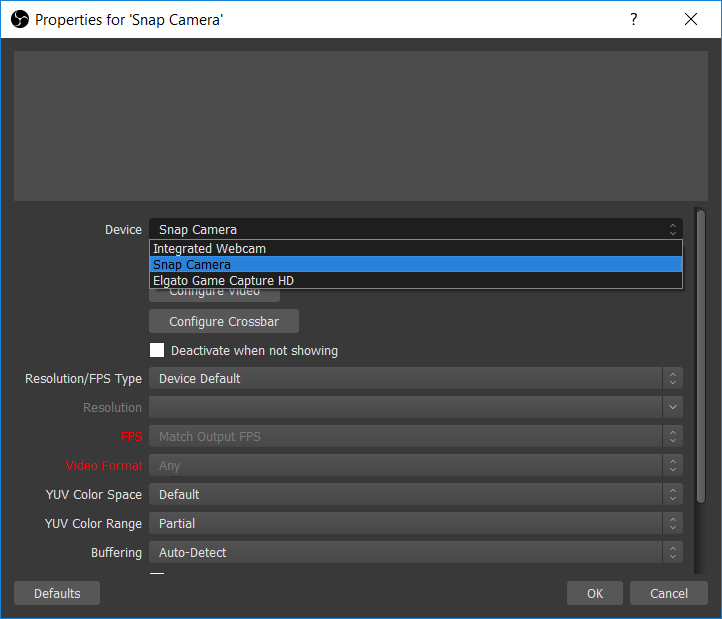 The section below walks through how to add Snap Camera as a webcam within OBS Studio. To start, first open Snap Camera. Then open OBS Studio. 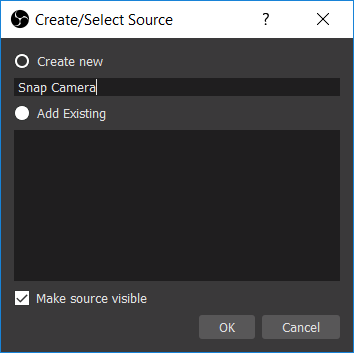 In OBS Studio, we need to add Snap Camera as a source. To do this, click the Plus button in the bottom left of the Sources panel. Then, select Video Capture Device. This will open the Create/Select Source window. Select the Create New button and give the source a name. Then, click the OK button. In the Properties window, select Snap Camera from the Device drop down menu. Then, click the OK button. You should now have the Snap Camera video feed added to your broadcast canvas. To learn more about OBS, refer to the OBS Help page. 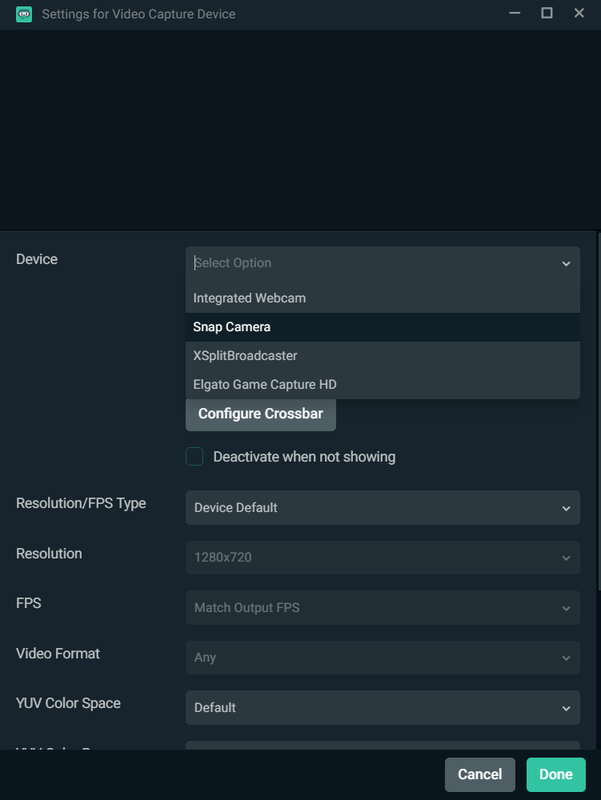 The section below walks through how to add Snap Camera as a webcam within Streamlabs OBS. To start, first open Snap Camera. 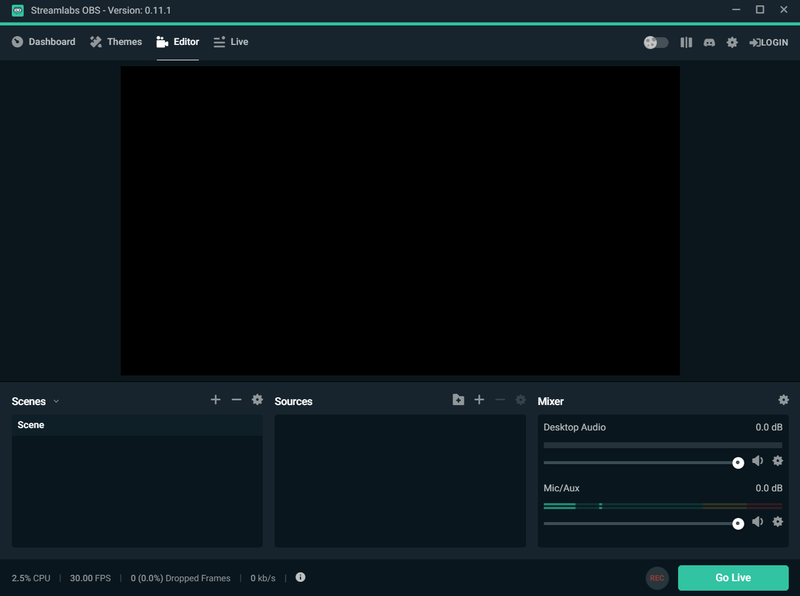 Then open Streamlabs OBS. 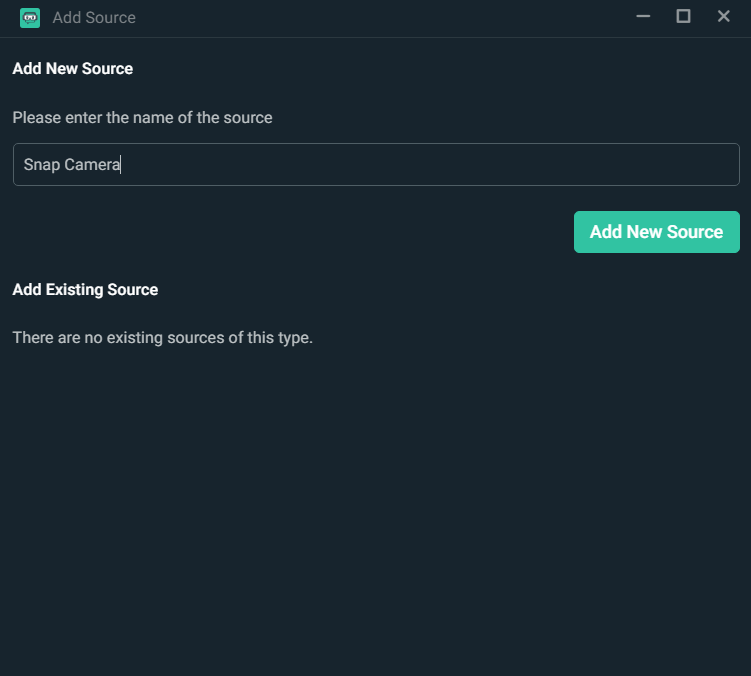 In Streamlabs OBS, we need to add Snap Camera as a source. To do this, click the Plus button in the top right corner of the Sources panel. Then, select Video Capture Device. Click the Add Source button. Give the source a name and click the Add New Source button. In the Settings window, select Snap Camera from the Device drop down menu. Then, click the Done button. You should now have the Snap Camera video feed added to your broadcast canvas. To learn more about Stream Labs OBS, refer to the Streamlabs OBS Support page. 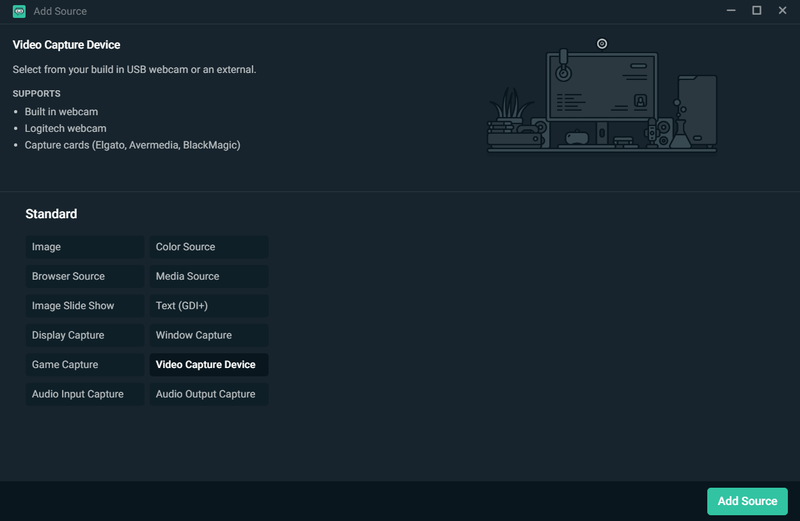 The section below walks through how to add Snap Camera as a webcam within XSplit Broadcaster. To start, first open Snap Camera. Then open XSplit Broadcaster. 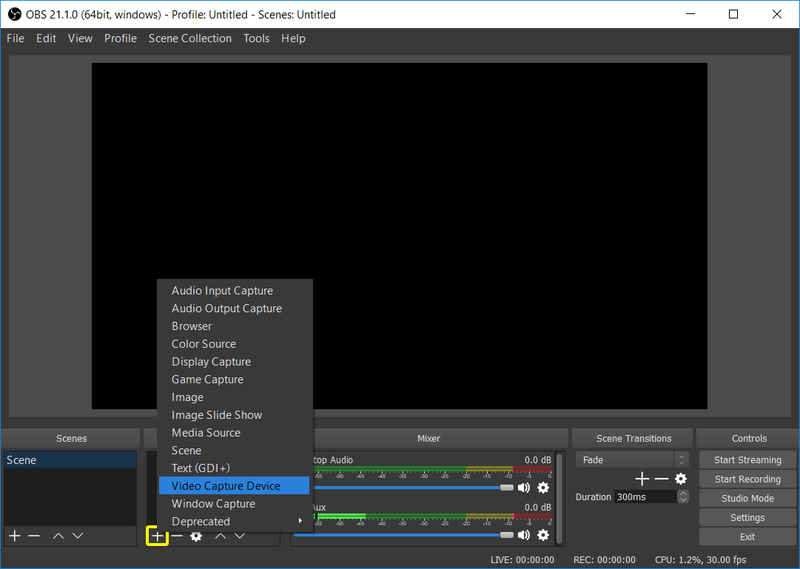 In XSplit Broadcaster, we need to add Snap Camera as a source. To do this, click the Add source button in the bottom left of XSplit Broadcaster. Then, select Devices (webcam, capture cards...) -> Video -> Snap Camera. You should now have the Snap Camera video feed added to your broadcast canvas. 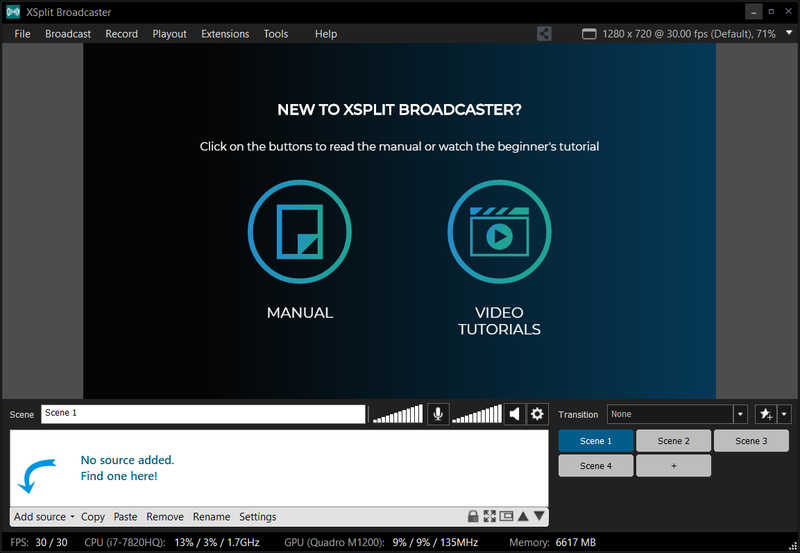 To learn more about XSplit Broadcaster, refer to the XSplit Broadcaster Support page.